Discover the wonders of outer space with this bright, engaging board book. 5, 4, 3, 2, 1 … Lift-off! Rockets and astronauts! Sun, Moon and stars! 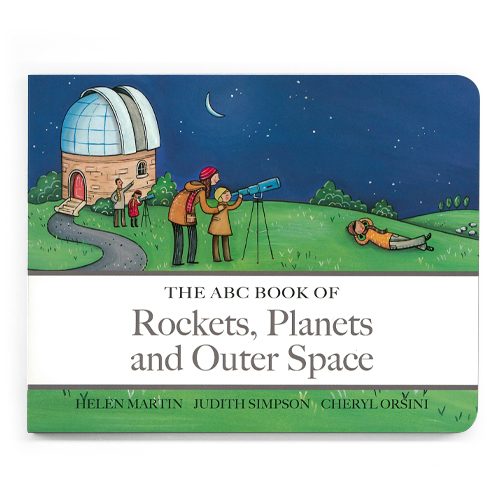 Discover the wonders of the Universe in The ABC Book of Rockets Planets & Outer Space! From the team that brought you the bestselling ABC Book of Cars, trains, Boats and Planes and ABC Book of Machines comes a new book all about the fascinating world of space and space travel. With their bright, colourful illustrations and simple, rhythmical language, these board books are perfect for preschool boys and girls. Recommended for 2 years and upwards.